I was thinking more close to double of that figure, just found it interesting/strange that almost half of the people of the largest country in the world (6x Kazakhstan) live in a area smaller than Kazakhstan. So yes, around 92 million. You can get to 100 million easily by slightly extending the southwestern tip to Krasnodar and the eastern end to Tyumen. why are you surprised? this area almost the size of the whole Europe. 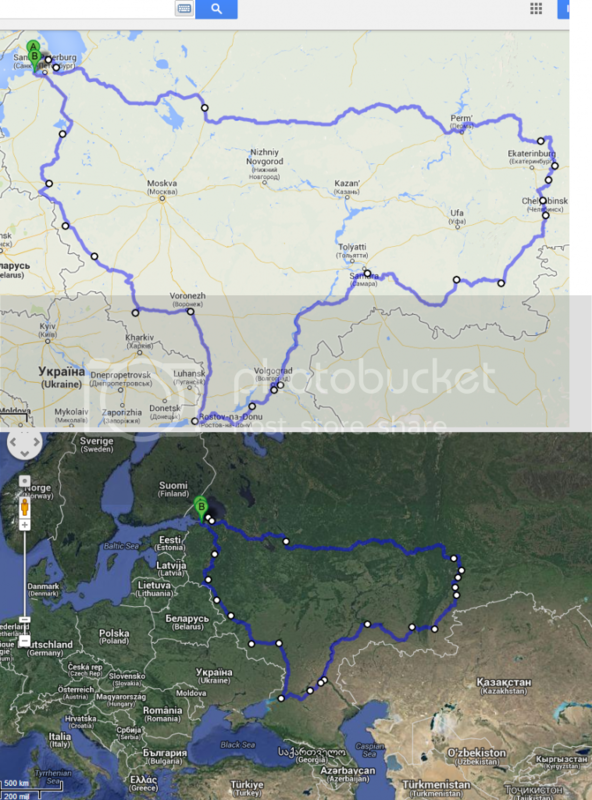 European part of Russia is 3782688. Area of the whole of Europe, together with the islands including Russia 10 million km2 Square of Europe (excluding islands) - 5.4 million square meters. km. It's not that this territory is overpopulated. Just other regions of Russia have a small population. Living conditions (climate etc.) in many areas of the country are not very good. Yeah but the area on my map is a lot smaller than 3,782,688 km2. Yes, but the boundaries of these cities do not pass along these lines that are on your map.